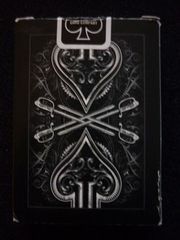 Theory11 teamed up with WA007, an avant-garde design studio in America to design these card backs. 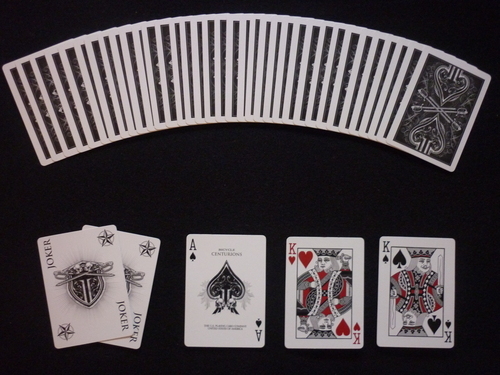 They come with a custom Ace of Spades, two custom jokers, special colored court cards and a double backed gaff card. 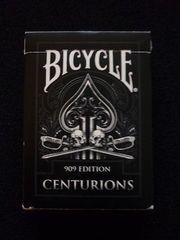 There is also a rare White version of these.